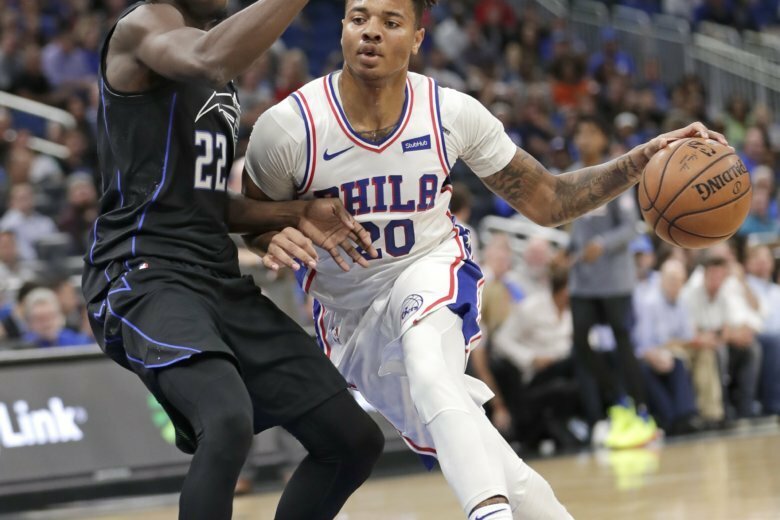 PHILADELPHIA (AP) — Markelle Fultz won’t play for the Philadelphia 76ers until his troublesome right shoulder is examined by a specialist on Monday. Fultz, the No. 1 pick of the 2017 draft, added another curious chapter to an injury-plagued career when his representatives informed the Sixers on Tuesday that the guard would be examined next week. Fultz played just 14 games last season because of a shoulder injury that seems to have affected his shooting mechanics and made him one of the more scrutinized players in the NBA. Fultz lost his starting spot in the rotation when the Sixers traded for Jimmy Butler. He seemed to lose his backup point spot when coach Brett Brown gave TJ McConnell the bulk of the minutes in a win over Phoenix on Monday. Sixers general manager Elton Brand said Fultz’s agent Raymond Brothers told him the guard wouldn’t practice or play until the results of Monday’s examination. Brand said he was told Monday was the earliest Fultz could see a specialist. Brand said he was unaware if anything was wrong with Fultz’s shoulder. Fultz had said this month he wasn’t bothered by the shoulder. The 20-year-old Fultz is averaging 8.2 points, 3.1 assists, 3.7 rebounds and shooting 42 percent from the field. “We just want the best for him,” Brand said. The Sixers are 9-0 at home and in fourth place overall in the Eastern Conference.